Lauren Rutlin: WHAT SHOULD I SEE? Yes, that says "Results 1-20 of 131." 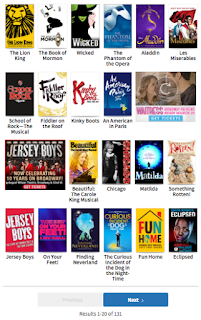 Since I go to more than my fair share of Broadway shows, I often get asked for recommendations. That's like asking a fashionista to dress you - I am ALWAYS thrilled to help and to talk theater for as long as you want. Theater is a big investment and the sheer number of choices can be overwhelming (see exhibit A at right). Sometimes people really want to be told exactly what to buy tickets to so that I can take all guesswork out of their planning and commitment. Other times they actually want to know how to narrow the choices and pick something they'll love. Let's break down both kinds of requests. 1. Which shows have you seen? Which ones did you love? Which did you hate? What I recommend to the person who can't get enough Mamma Mia is probably going to be very different from what I suggest to a Next to Normal aficionado. I'm not always going to go for the slam dunk but this question is still the most important in figuring out what might become someone's next beloved show. 2. Who's going with you? 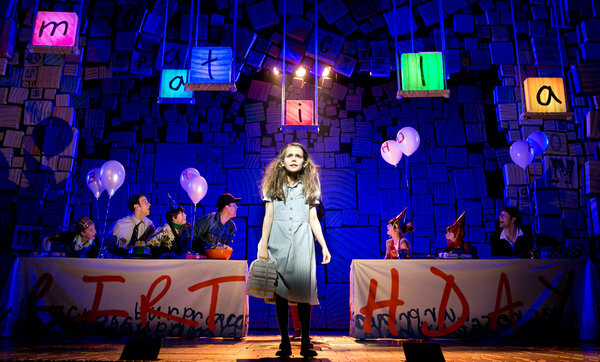 For my theater buff fourth grade teacher, Matilda seemed like a home run. Then she told me that her former gym teacher husband wouldn't be able to stomach it. Back to the drawing board. Are you bringing kids? A multi-generational family? Jaded friends? A significant other who has never stepped foot inside a theater? No matter how good the show is, who needs to enjoy it matters more. 3. What do you want to get out of it? "Um, duh, Lauren, I want to see a great show." Well, sure. But for some, nothing says "I loved it!" like laughing until they cry. For others, a piece that teaches them something or makes them think or feel deeply is what they're after. Some want to see a quintessential or classic (current or future) Broadway show. Others yearn for something that completely subverts the form. Tell me how you want to feel and I'm well on my way to knowing what might meet your needs. Truth time: I'm actually less likely to see a show if it has a Hollywood celebrity in it. I generally assume it was stunt casted and won't be all that high quality. But if one of my favorite Broadway performers is in it, I'll jump in line. I bought Shuffle Along tickets before even reading a synopsis because of Audra McDonald (and Brian Stokes Mitchell and Joshua Henry, but let's be honest, primarily Audra). I've seen every Broadway show Sutton Foster has ever done (except Young Frankenstein, which happened the year I didn't get out to New York and is clearly a blemish on my record). Seeing Danny Burstein onstage always makes me feel like I'm being wrapped in a hug of vulnerability and joy. I also care about the names on the creative side. If Harvey Fierstein wrote it, I will see it. I'm seeing American Psycho mostly because I believe in Duncan Sheik after Spring Awakening. I've loved enough of Diane Paulus' mind-altering revivals to want a look at anything else she touches. And obviously if Lin-Manuel Miranda is involved I'll be in the front row. 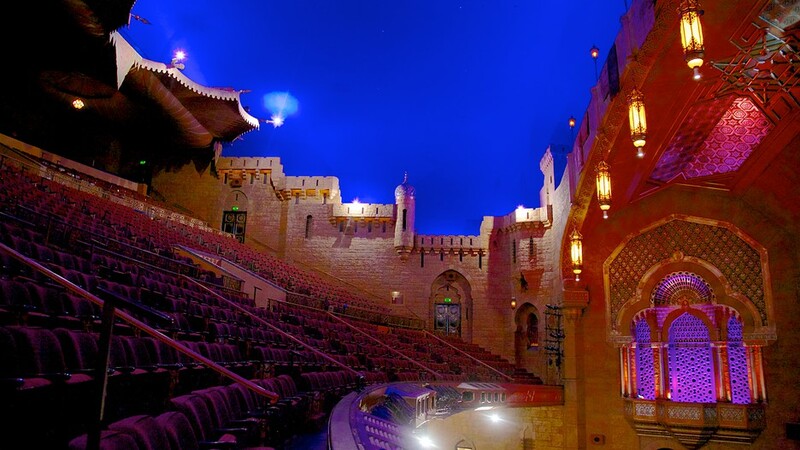 I don't mean that I go back to the venues where I've previously loved shows (though that's a very valid choice if you're a theater architecture buff - I'd sit for hours in the glow of the ghost light at Atlanta's Fox Theater). Rather, which theater companies have produced stuff that you've found compelling? When I find myself consistently loving what I see at a particular organization, I'm much more likely to go back. Some of my most trusted presenters include The Public, Second Stage, and Roundabout. Maybe the subject matter is out of left field and interesting. Maybe I caught a song or two and need to hear it live (that happened with Waitress). Maybe something grabbed me long ago and I've been wondering about it ever since (Playbill has an awesome tool for that). There are those times when I know nothing about the theater or the cast, the content is completely original (so there's no movie or book to know and love), and yet a kernel about the show crosses my path and completely inspires me. Every Brilliant Thing is a great example and did not disappoint. Trust your gut on these. What doesn't matter much to me in show selection? Reviews. I rarely read them lest they spoil either the plot of or my hope for a particular show. Occasionally if a show I'm not all that interested in has a lot of buzz, I'll skim a review to see if it changes my mind. Often, positive reviews actually solidify my decision not to buy. Hint: If the joke that the reviewer quotes as one of his favorites doesn't make you laugh or isn't your kind of humor, you can safely pass. Finally, it's important to remember that you'll definitely see some "meh" shows, and you'll inevitably see a few truly bad shows. Your every pick won't be perfect. Don't worry about it. They become fun stories. Remind me to tell you about Xanadu.